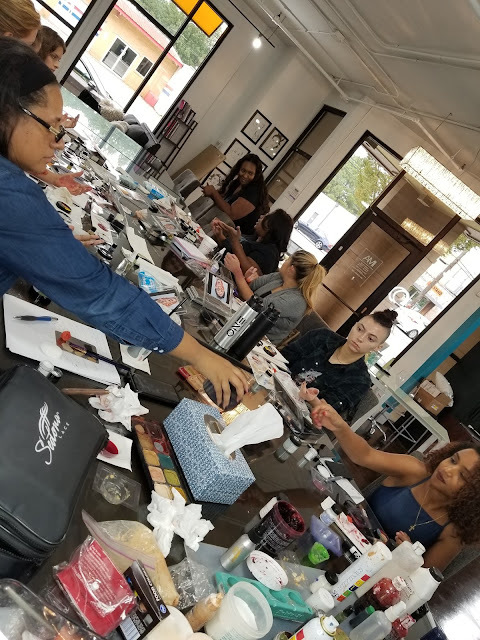 Last weekend I sat in and also taught an amazing Special FX Makeup Class at Industry Makeup Academy. I learned some new tricks as well as shared some of my Halloween Makeup Secrets. Check it out! 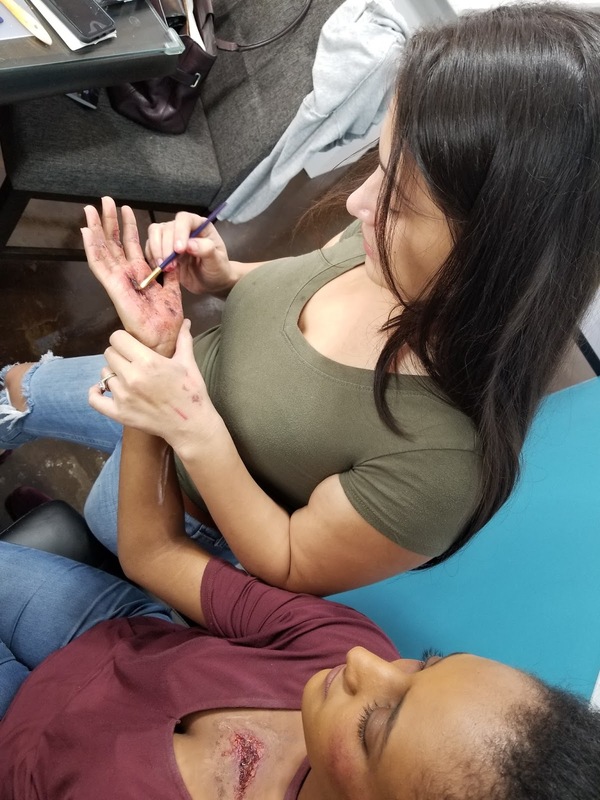 Emma Rumps, a graduate of MUD's FX Program, taught my students some great essential FX makeup tricks including cuts, burns and bruises. These are must-know techniques especially if you plan on going into TV and Film. Check out all the fun makeup! 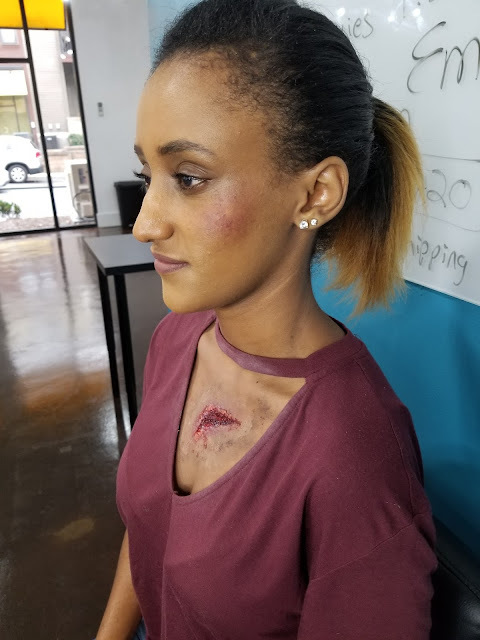 Our students used the Deluxe Severe Trauma Kits from Graftobian to create all their looks. Emma used flocking powder mixed with liquid latex to create the edges to this scrape. I've never used that material before but it was a great idea to get texture to the skin. Another tip is to thin out paint with alcohol when creating bruises. It looks much more realistic that way. I put all these tips together to help my students create a zombie look. 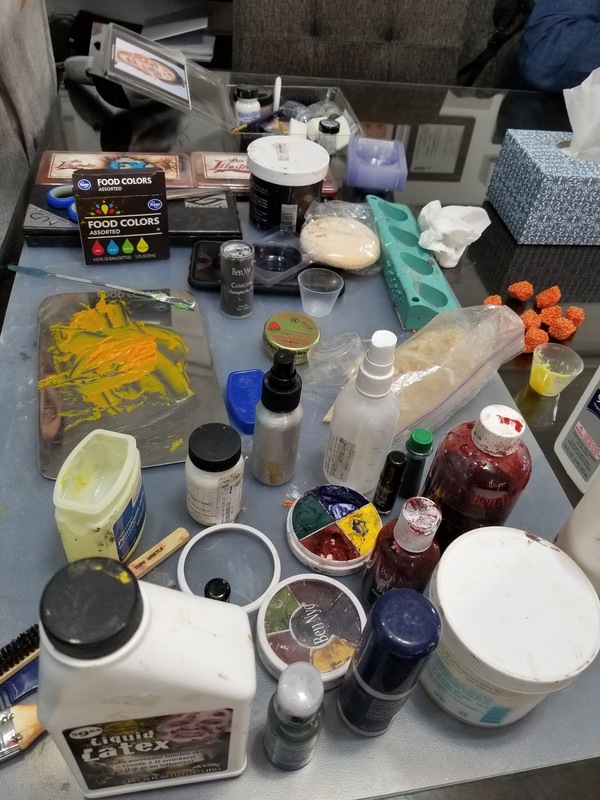 We applied makeup to create sunken in cheeks and eyes, veins and discoloration as well as raised texture surfaces with oozing wounds - good times! 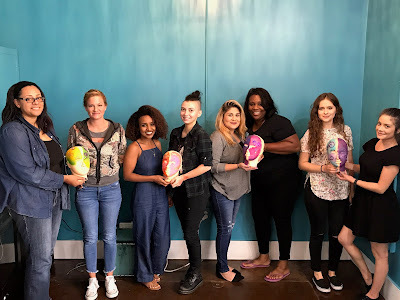 Next I taught my students the basics of body and face painting used water activated Graftobian Pro Paint and Silicone Model Heads. They are a great way to practice your painting skills. We've got another Master Class coming up soon featuring Airbrush Makeup taught by yours truly. This is an in depth course which also includes a full airbrush makeup kit. You can find details at www.ima-atlanta.com and register here. Stay tuned for more Halloween Makeup looks coming soon!